JOE PERINO is a Research Analyst with LNS Research; where he primarily focuses on industrial transformation and operational excellence for oil and gas, process manufacturing and other asset-intensive industries. He also provides collaborative coverage across the Industrial Internet of Things (IIoT), Big Data, Cloud, advanced analytics, Edge computing, the Digital Twin, robotic process automation, blockchain, and asset performance management. 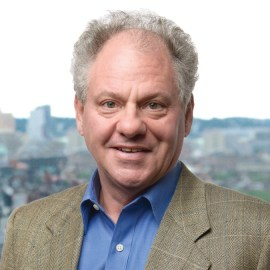 Perino started his career as a process engineer in the refining, chemicals, and pipeline sectors, and then spent several years in sales and business development with process automation and technology suppliers before moving into product and industry marketing, strategy, corporate development, M&A and management consulting. He has worked for operating companies (Phillips Petroleum, Diamond Shamrock, Northern Natural Gas) as well as automation and software firms (Emerson Process, Honeywell Process Solutions and i2/JDA) and services firms (IBM, Schlumberger, Logica/ CGI and CSC/DXC). Throughout his career he has helped process manufacturing companies with strategy development, digital transformation initiatives, and market development. Before joining LNS, Perino was the President and CEO of PERTEX Management and Technology Consulting, a company he founded to help industrial organizations drive business results. Joe is a member of the Society of Petroleum Engineers (SPE), the Professional Petroleum Data Management Association (PPDM), the American Institute of Chemical Engineers (AIChE), and the International Society of Automation (ISA). Mr. Perino holds a BS in Chemical Engineering from the University of Notre Dame, a Master of Science in Finance from the University of Houston-Clear Lake, and has completed executive education programs at the Kellogg School of Management at Northwestern University, and Harvard Business School.